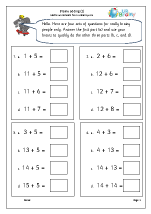 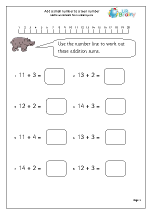 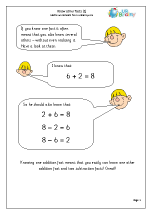 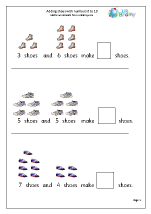 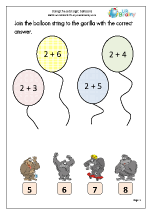 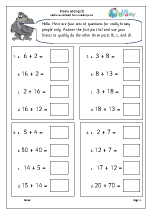 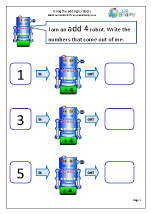 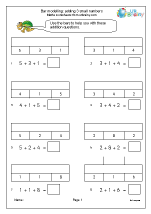 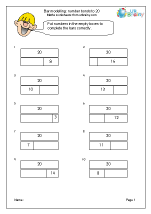 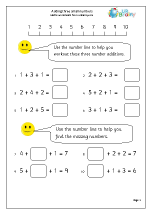 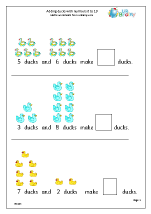 Begin by using graphics to help with understanding addition. 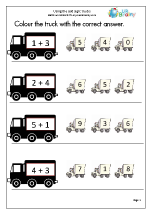 Moving on to using the add sign and simple addition statements. 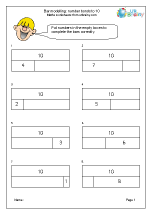 It's all about 10. 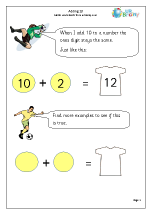 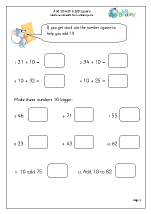 Plenty of practice with making ten and adding ten to a number. 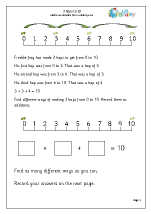 Using number lines to help with early addition. 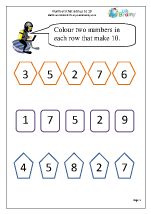 Many schools are now using bar modelling as an intermediate step between addition using objects and the abstract addition sentence. 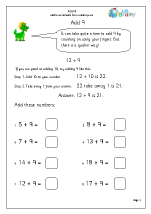 Practice pages and tips to help with adding mentally quickly and correctly. 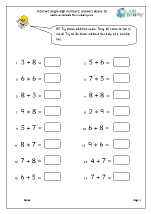 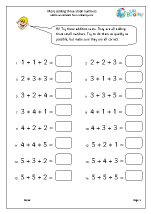 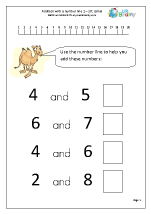 Adding three numbers can be done in any order, to make it as easy as possible mentally. 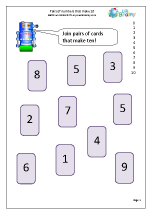 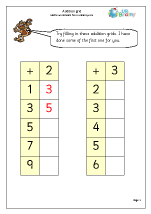 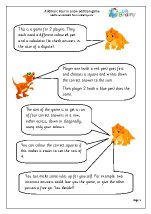 Fun addition games which really help with improving addition skills, plus some addition with larger numbers and ‘intelligent practice’ for the more able. 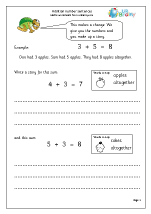 Addition forms a major part of the work carried out in Year 1 and the progress made this year is vital for future success. 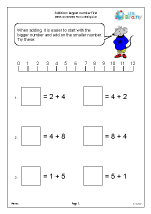 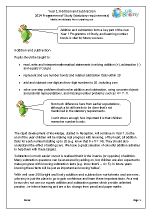 • solve missing number problems such as 3 + ? 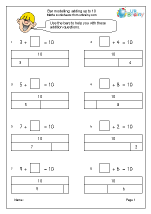 = 7. 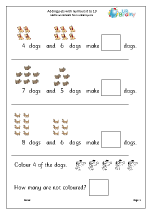 By the end of the year children will be making real progress with knowing, off by heart, all addition facts for each number totalling up to 20 (e.g. know that 9 + 5 = 14). 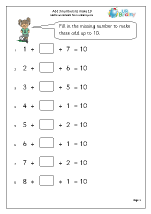 They should also understand the effect of adding zero. 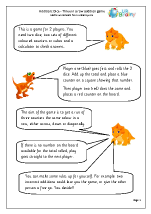 Knowing these facts off by heart is absolutely crucial. 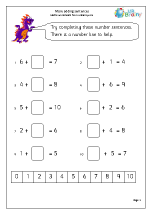 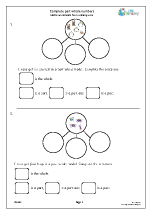 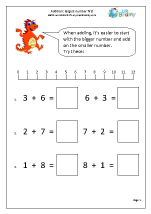 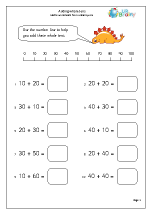 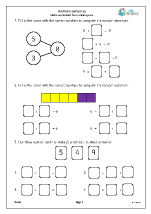 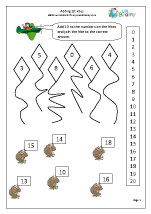 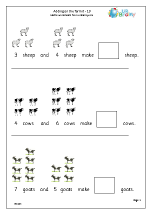 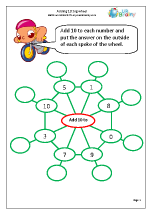 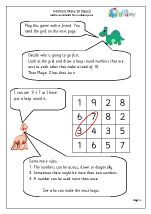 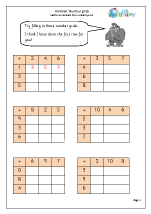 We have a great selection of colourful addition activities to help with all of the above, including using pictorial representations, bar modelling, number lines and number grids before moving on to the abstract. 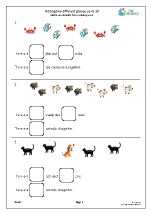 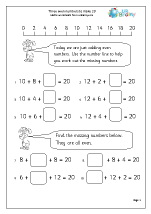 With approximately 200 bright and lively addition worksheets with answers, urbrainy is just the place to go to gain confidence and learn these important facts. 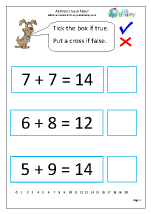 As a real bonus why not use our superb addition games which provide unlimited practice , re-inforce learning and are a fun change from pencil and paper maths. 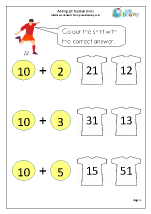 You will need the Flash Player for these.